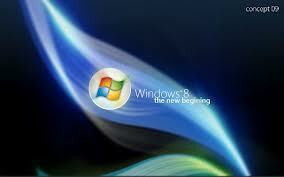 Microsoft has officially launched the new version of its Windows OS, named "Windows 8" on 26th October. Microsoft wants to repeat the success of Windows 7 with this latest operating system. Windows 8 has lots of exciting features which will make you fall in love with it. It is designed to work with many computing devices. You can use it on your tablets, desktops, laptops and even hybrids. Windows 8 will be available in three different versions viz., Windows 8, Windows 8 Pro and Windows RT. Windows 8 will work better on laptops and notebooks, than on desktops, because the touch pad and gestures are more compatible to Windows 8. Now let’s have a look on a few things you must know about Windows 8 before you decide to migrate. 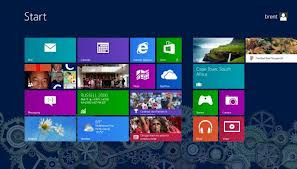 Windows 8 offers an easy and a simple to use User Interface (UI) - called the Metro UI. It is designed with a totally new interface, and is different from older versions of Windows, including Windows Vista, XP, and even Windows 7. The new UI can be easily utilized on tablets, laptops, desktops and other high-end platforms. You can easily get the all new look for your device after upgrading to Windows 8. Though, you will neither have any start menu nor any icons on your Windows 8 desktop. The new interface of Windows 8 lets you experience better accessibility and speed. The traditional start menu of Microsoft will not be available in Windows 8 interface. Windows 8 will let you connect with online portals such as Microsoft online service and x-box live. All you need is an account with Microsoft to use the online Microsoft services. This feature will also let you access the Microsoft store and all its amazing apps. Windows 8 also includes softwares like Microsoft’s Sky Drive, Internet Explorer 10 and an anti-virus too. The all new Windows 8 can be installed on your system only if your system has the required configuration. Windows 8 can be installed on systems with a processor of 1 GHz or faster, that supports PAE, NX and SSE2 for the new physical address security features. It requires 1GB of RAM (minimum) for 64-84 bit systems, and about 20 GB hard disk space. Windows 8 has an inbuilt antivirus which will help you to keep your system safe and secure. This feature might hurt antivirus companies but it is a good feature for users. Windows 8 has lots of other features like secure boot and Metro apps to make your system safe and secure. It also has internet explorer’s SmartScreen feature which will check malicious content before you install them. If you are already a Windows user (no matter whichever version you are running), then you can upgrade your device to Windows 8 by purchasing it for $40. Awesome offer, right? Online upgrades of Windows are available in more than 140 countries and in about 37 different languages. If you have purchased a new PC after June 2, then you can upgrade to Windows 8 Pro just for $15. Another cool offer, isn't it? It will be a good deal to experience the all new user interface. You are now good-to-go. Grab your own copies of this awesome OS and give it a try. Do not forget to share your personal reviews about this product in the comments below.